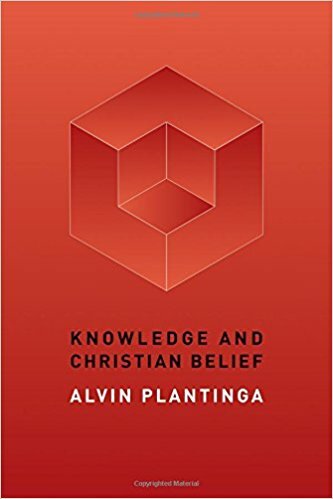 I’ve been reading Christian philosopher Alvin Plantinga’s Knowledge and Christian Belief (Eerdmans, 2015) this week. This is the popular level version of Plantinga’s influential (and more technical) Warranted Christian Belief (Oxford, 2000). If I fell out of an airplane at 3,000 feet, I would fall down not up; and it wouldn’t be up to me which way I fell… my falling down isn’t something that can be morally evaluated. I can’t sensibly be either praised or blamed for falling down. And isn’t the same thing true for religious belief? I am a theist; I believe that there is such a person as God; but I have never decided to hold this belief. It has always just seemed to me to be true. And it isn’t as if I could rid myself of this belief just by an act of the will (17). He later connects this to Calvin’s notion of the sensus divinitatis, or sense of divinity, which is “subject to malfunction” (33). Indeed, unbelief can also be seen as resulting from wish-fulfillment—a result of the desire to live in a world without God, a world in which there is no one to whom I owe worship and obedience (44).